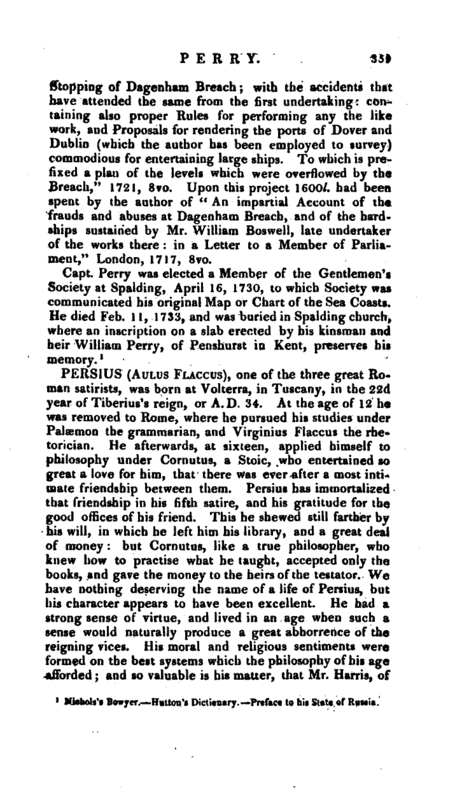 Persius is said to have been of a weak constitution, and troubled with indigestion, of which he died in his 30th year. Of his satires, six are extant, and have procured him to be named with Horace and Juvenal as the third great Latin satirist. With regard to his obscurity, critics have varied in their opinions of the cause of it: some attribute it as an original defect in his style; while others assert, that what we call obscurities and difficulties arise from allusions to persons, events, and practices, with which we are now unacquainted. There are, undoubtedly, such allusions in all the Roman poets; but Persius cannot be altogether acquitted of harshness and obscority of style, independent of such. He has more of the force and fire of Juvenal, than of the politeness of Horace; but as a moral writer he excels both. Vossius de Poet. Lat. Crusius’s Lives of the Roman Poets. —Saxii Onomast. 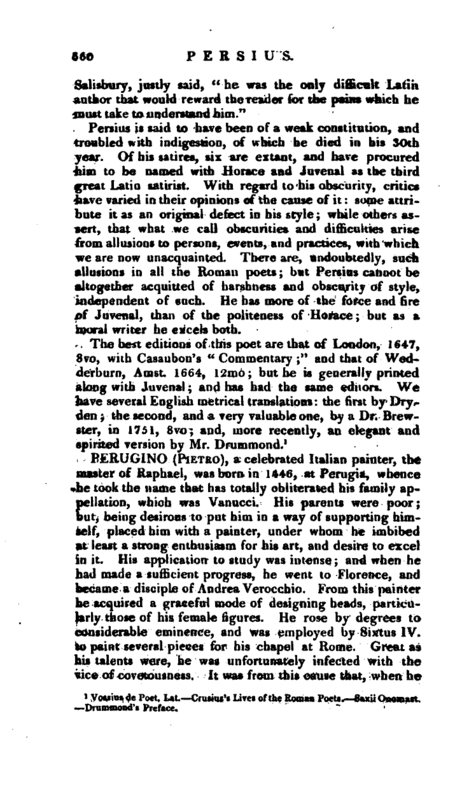 Drummond’s Preface.